As you might know by now I love synthesizers. To me they always seemed to be so mysterious and scientific....at the same time. Very much like a stompbox I got the feeling that just by pressing one key everything in the production would change and shift the listeners attention. 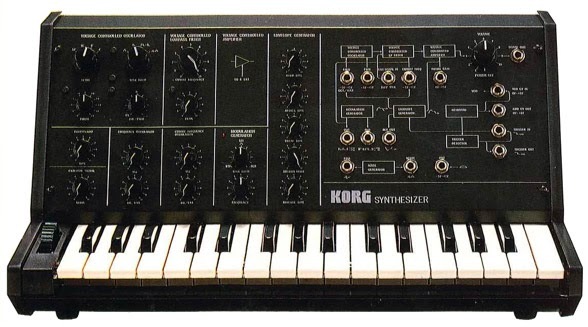 I bought my Korg MS-10 at a music store in Paris. The guys who owned were complete assholes. I chose between a MS-10 and a SH-101. Im really happy that I got the MS-10. It is a very simple analog synth but with loads of possibilities and it can be quite expressive when you mess with it. Ive used it a lot and it is my main synth when we play live with Necromonkey. "We know the shop..they are assholes. But when we became famous they treated us like kings.....assholes." This video is from the 2012 Änglagård sessions for the third album. Filmed two years ago. I still hear all the unfulfilled potential of the recordings. I still cant listen to the album. It just annoys me.